Through six games, the Packers defense has improved overall, but has been up and down. Easily the biggest down, was the past Monday night. One constant, is below average play from Kentrell Brice. At this point, six games into the season, its apparent that he is not a starting quality safety. He is a liability, and a big one. On Monday night, he was torched deep by Marques Goodwin in the first quarter. While Goodwin is fast and a tough ask for a safety to cover, Brice’s sole responsibility was deep. Martinez had the intermediate middle and Matthews had the out. Packers Talk’s Brandon Carwille, noted the play in watching the all-22. That play, was the tip of the iceberg, and Brice has nothing to show he is anything but a core special teamer and adequate backup. It’s clear someone else needs to be given an opportunity. The most obvious choice is Josh Jones. As a freak athlete, its astonishing that he hasn’t been given that chance. How can he be worse? But its obvious behind the scenes its been determined that he cant the trusted to carry out his assignments properly. I wrote an article after Dom Capers was fired, about a play that illustrates, he can be worse than Brice . On the play, which was a 30-yard touchdown to Greg Olsen vs Carolina, Jones (most likely), blows his coverage, by not understanding the rules for their coverage call of Cover One Man. If he carries out his assignment, the play is an incompletion at worst and a sack/int at best. He doesn’t even need to carry it out well. He just needs know the assignment and not let a guy run free. Cover One Man is one of the most basic coverages in the book, and if he cant carry that out, its impossible to trust him especially in high leveraged third down with exotic blitzes. Jermaine Whitehead and Raven Greene are the other two safeties on the roster. Whitehead, isn’t fit for a role of traditional safety. His role is more that of Micah Hyde/Charles Woodson, which is a roaming nickel/slot DB in sub packages. Raven Greene is an undrafted rookie from James Madison. His last real game action (special teams excluded) was against the likes of Elon, Richmond and Maine. Those are not exactly football powerhouses. 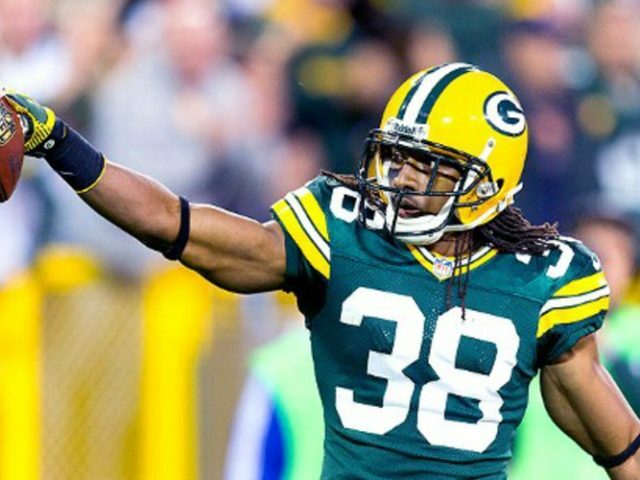 There is however one other player, who has played some safety at the NFL level on the roster, and that is Tramon Williams. He played safety during the last month of his tenure in Cleveland. The sample size isn’t great, but he performed competently. And he also embraced it, discussing how as a safety he can be more involved in every play and make plays on the ball. “I like to see the ball and at this point in my career at the safety position, you would definitely be able to see the ball. I like picks,” Williams said after his first game at the position. Brice is not good. And he is not going to improve. in 2014, the Packers were 5-3 and just got rolled by the Saints 44-23. It was then, the Packers moved Clay Matthews to inside linebacker, which defensively turned around the teams fortunes; They only and they only lost one game the rest of the regular season and had only one game giving up more than 21 points. It was also after the bye. With the bye week upon us in 2018, now is the time to do make this move. It can’t hurt. This entry was posted in Uncategorized and tagged Kentrell Brice, tramon williams. Bookmark the permalink. Insert Tramon at safety, and Jones at linebacker. Jones isn’t a safety–never will be. 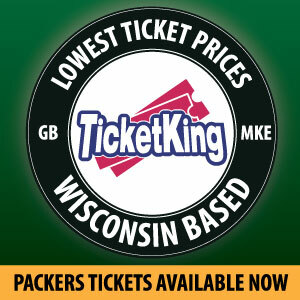 It’s time we start playing guys where they belong–but that never happens in Green Bay. I thought Pettines strength was putting players in the best position? Well I always said williams should be the free safety and move Haha to Strong safety to give the back end more veteran leader ship. I also believe haha could help out in the box with the run game and covering Tight ends and backs… Start King, Jackson and Alexander covering the slot. Than use Breeland as a rotation guy between king and Jackson to give them breathers. Even spot start him sometimes to ease the ware on both Jackson and king. Josh Jones should be used in a utility type role. Have him at safety at times, see what he can do at inside backer or even play him in at weak side backer sometimes. They say this mike pettine is a hybrid defensive coach. If that’s so, than he should tryout a package like 4-3 using Perry as a RE, Clark and Adams at DT, Daniels at LE. Middle backer Martinez, strongside backer mathews and weakside backer Josh Jones. In my opinion it can work since all three Linebackers have the speed to fill… the guys I named for DLINE are able also. This team should be trying anything on defense to stop the bleeding. If it can get to a bend but don’t break defense and if the offense gets in tune… with a little luck without injury. Maybe this thing can be turned around. Interesting notion. Is Breeland “really ready”? I sure don’t consider myself any kind of knowledgeable about Breeland. I only know what I’ve read. There’s some optimism. He’s looking at being out #5 CB (that’d be replacing Brown, I think) on the gameday 21 roster. If our main secondary guys stay healthy enough to play and practice together, we’re going to keep getting better during the rest of the season. Never compare Whitehead to Charles Woodson again. Even in role. Jason……Kentrell Brice is a UDFA who was hurt most of last year. A solid hitter, and one of our faster guys, he’s playing safety because nobody else is better. It wasn’t supposed to be like this when we parted ways with Burnett; Josh Jones was supposed to be the guy and Brice would be the backup. But sadly, Josh Jones cannot cover. I saw as much during the offseason when I was replaying the games on my DVR and studying him. He didn’t improve in training camp, and that’s why he’s not on the field and Brice is. Brice turned 24 right before the season, yet this is his third year. As a UDFA rookie he impressed with his speed and willingness to hit. He got hurt his second year and was returning this year from off-season surgery. He’s second on the team in tackles. As you suggested, it’s asking a lot for an UDFA like Brice….ideally, a backup, to cover quality WRs 40 yards downfield one on one. And why are we asking him to do that? Because he’s our best choice so far. Whitehead has earned more playing time, but he doesn’t have Brice’s speed or familiarity with the system yet. Tramon was a speedy devil in his youth, but he’s not as fast as he was and he doesn’t like to stick his nose into the tackle like Brice does. If we were going to make a trade, I’d be looking hard for the Raiders safety Karl Joseph. He’s clearly worth a mid-round pick if we can work out a longer term deal with him. We might get 5 good years out of him. I think if you watch the film on Brice closely, on a lot of plays he does his job, but he does have some big fails, no doubt. I’d lots rather see him as a backup and special teams guy at this point than our starter, but of the guys we have on our team right now, he’s our best choice. He actually kind of reminds me of Jarrett Bush, who was always underappreciated but who kept practicing and trying to improve and eventually made a big play for us in the Super Bowl. He’s a minimum wage bargain. I think if we ever get our three best corners on the field at the same time for a game after a week of practice…..King, Alexander, Jackson……then I wouldn’t mind seeing Tramon take some snaps at safety, particularly if we’re going to play three safeties (that sometimes happens when you have a lead and the other team has to pass) in a dime package. Meanwhile, we’ll be playing 5 on 6 on the pass rush with the Oline and the QB. I do believe that if we just contain the QB and stop these drive extending scrambles that our coverage guys can do a good enough job long enough to allow one of our rushers to reach home.